Background/Purpose: Fibromyalgia (FM) has been promoted as the commonest cause of chronic, widespread non-articular musculoskeletal pain, stiffness and fatigue. Although pain is the central feature of FM there are other common clinical features associated with the disease including: sensations of muscle tension and morning stiffness, chronic headaches, non restorative sleep, fatigue and waking unrefreshed, post-exertional muscle pain, and cognitive dysfunction. 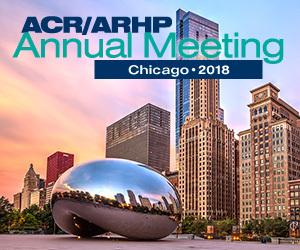 Methods: Twenty five female patients with a mean age of 30 years (18 to 57) diagnosed with primary FM according to 1990 American College of Rheumatology (ACR) diagnostic criteria as well as the 2010 ACR preliminary diagnostic criteria for FM were included in this study. Demographic characteristics and clinical data were collected from all patients. Pain severity, impact of the disease, sleep disturbance, severity of depression and anxiety where assessed by McGill Pain Questionnaire (MPQ), Fibromyalgia Impact Questionnaire (FIQ), visual analogue scale (VAS) for sleep evaluation, Hamilton Depression Rating Scale (HRSD) and Hamilton Anxiety Rating Scale (HAM-A) respectively. Results: The median complaint duration was 24 months (3 to 180), and the median number of tender points was 14 (11 to 18). Fourteen patients (56%) complained of numbness with normal neurological examination. The median score of the MPQ presenting pain intensity – Visual Analogue Scale (PPI-VAS) was 80 (50 to100) and for the overall intensity was 3 (2 to 5). The FIQ showed a median score of 59.41 (41 to 76). Twenty two patients (88%) had irregular sleep patterns and poor sleep quality. Nineteen patients (76%) showed mild depression by HRSD with a median score of 14 (6 to 26). Fifteen patients (60%) showed mild anxiety by HAM-A with a median score of 15 (6 to 33). There was a highly negative linear statistically significant correlation between the overall pain and sleep VAS (p= 0.003). There was as highly positive linear statistically significant correlation between the degree of anxiety and the degree of depression (p<0.001). Also the degree of anxiety & depression had a highly positive linear statistical significant correlation with the impact of the disease on the patients' life (p<0.001 & p<0.001). Figure (1): Distribution of FM patients according to severity of the impact of the disease, depression and anxiety. Conclusion: Fibromyalgia highly influences the quality of life of the patients, and the severity of pain and associated symptoms significantly correlate with the impact of FM on the patients’ life. There is a significant correlation between the severity of pain and the severity of associated symptoms of FM as depression and anxiety; in the same context depression as well as anxiety were found to be strongly associated with FM.